The new year has arrived and with it comes new resolutions. 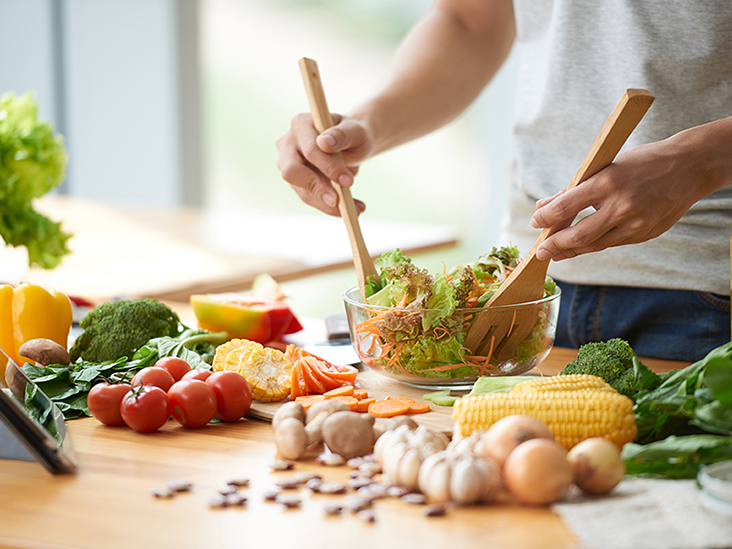 If your goal for 2019 is to make better food choices, you’re not alone. Eating healthier is actually one of the most common resolutions for the new year. This widespread goal, however, is no piece of cake (pun intended). They say breakfast is the most important meal of the day. For a healthier start to your morning, avoid the following: sugary cereals, pancakes, waffles, pop-tarts, bacon, sausage and bagels. Instead, stock up on things like Greek yogurt, granola, oatmeal, fruits, eggs, avocados and whole wheat bread. When you’re craving something sweet, you can mix yogurt with fruit, granola and honey or make some tasty banana pancakes. When you’re in the mood for something savory, whip up a delicious vegetable omelette with cheese or mash up an avocado on whole wheat toast. Eating healthier lunches is pretty simple because it only takes a few small changes. For example: if you’re ordering a sandwich, swap out white bread for whole wheat bread or a wrap. If your order comes with a side item, opt for something like an apple or coleslaw instead of chips or french fries. There are so many healthy options for lunch. You can enjoy quinoa or brown rice bowls with vegetables and protein, chicken salad platters, tuna salad platters or mixed salads loaded with enhancing ingredients like vegetables, nuts, dried fruits and cheese. When you want a little something between meals, ditch the chips, cookies and candy, and go for the real foods. You can dip cut up carrots and celery into a garlicky hummus or homemade guacamole. You can munch on some roasted nuts or trail mix. Or you can cut up an apple or a banana to enjoy with some peanut butter. The list goes on. For dinner, try to stick to lean meats and seafood, and be sure to experiment with a lot of different flavors and cooking techniques to keep things interesting. Healthy dinner options are endless; you can do a roasted chicken, pan-seared salmon or grilled turkey burgers, to name a few. It’s important to remember that vegetables are just as important as whatever else is on your plate. Always attempt to fill half of your plate with foods like mashed sweet potatoes, crispy Brussels sprouts, sautéed green beans, mixed salads and roasted vegetable medleys. You can even swap out carb-heavy items for their vegetable substitutes, such as cauliflower rice for white rice and zoodles for noodles. Browse our selection of fresh fruit, vegetables and more! Remember, life is about balance. You should never feel bad about enjoying your favorite pizza, pasta, or cake—just do so in moderation and don’t forget about your fruits and veggies. We have a huge selection of foods to help you fulfill your New Year’s resolution at Joseph’s Classic Market. Stop by our North Lake or Boca Raton location any time and we’ll help you find what you’re looking for, or feel free to contact us with questions today.